CHAMPION: Brady Rose with his bronze medal in the Special Olympics World Games in Abu Dhabi after competing. ATHLETICS: Brady Rose sent up a silent prayer as he waited for a familiar bang. The starter's gun rings out through athletics meets and Brady has been hearing it for almost a decade. But this race was special. 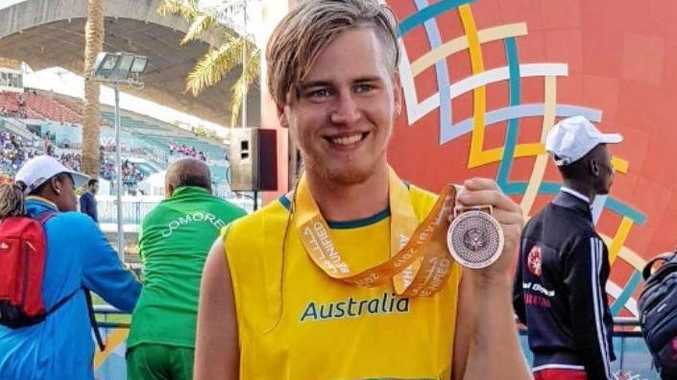 This race was a dream come true for the Hervey Bay 19-year-old, because this race was the 400m in the men's pentathlon during the Special Olympics World Games in Abu Dhabi. 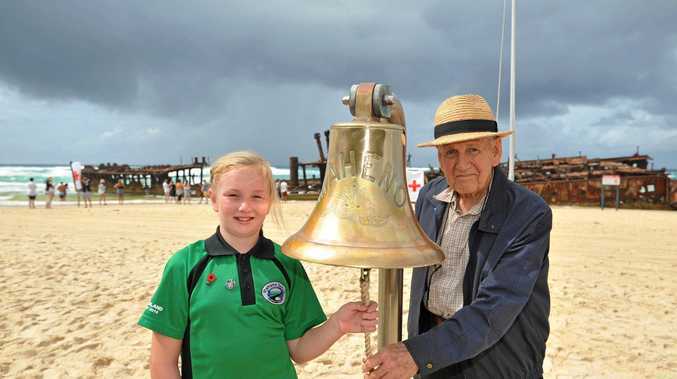 "This looks to be a great event for the American Kirby Oertling," the commentator said over the loud speaker, his voice not registering through the concentration of the Fraser Coast's home-grown talent. "He is absolutely flying down the back straight." Sitting in her Wondunna home at 2am, Vonnie Rose cheered her son on, who was sitting in third position about 100m off the pace, while watching the live broadcast on her tablet. Track-side, father Jamie Rose and grandmother Jenny Grimshaw screamed at the top of their lungs as Brady hit the last 200m bend. "The others are catching, Rose just ahead of (Christoph Cosimo) Bruegge," the commentator continued. "This is going to be a tough last 100m." In a comeback you would have to see to believe, Brady worked the bend, closing the distance to overtake his German competitor when he hit the home straight and began edging back metres on the American race leader. "He's going to be hauled in by the Australian," the commentator shouted. In that last 100m, the pounding of Brady's feet against the rubber fast track took him back to a familiar scene in his past. In matching white sneakers and shorts, Brady wasn't on the world stage any more; he was chasing his triathlete grandfather Elywn round the block. Sadly, Brady's hero passed away in 2008. This win would be for him, signified in that moment Brady took before the race. "And that's it. Brady Rose has run the steadier race, and it is the Australian who takes the win," the commentator said. Speaking to the Chronicle yesterday, eyes still weary from travel and competing last week - Brady, who lives with cerebral palsy, said earning one bronze medal in the five-event championship and another in the 4x100m relay team was beyond his wildest dreams. 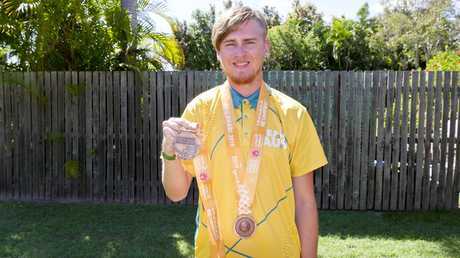 "I am the first ever Australian athlete to compete in the pentathlon event which makes it Australia's first medal," he said. 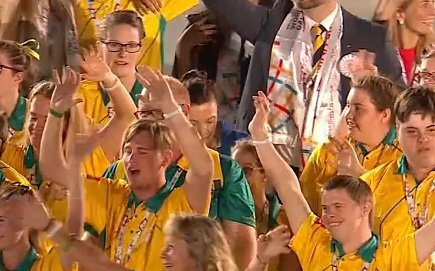 "I was given the honour of leading the Australian delegation into the stadium for the closing ceremony. "Thank you to everyone who has supported me and donated to make this a reality." Brady is looking forward to his next chance to wear the green and gold but his family are just proud he embodied the Special Olympics motto; "Let me win but if I cannot win, let me be brave in the attempt."